If you use a Windows 10 system then you're an attractive target for hackers simply because Windows is the world's most popular PC operating system. The security situation on Windows has improved dramatically since the early days of Windows XP, but the sheer number of users mean it is still under threat. The reality is that you still need a regularly updated antivirus package to keep you safe from the very latest threats. That's because the bad guys are constantly looking for new ways to access your data and control your system. From ransomware to fileless attacks and blended malware, there are plenty of threats out there and there's the danger is great on Windows 10, no matter how careful you are online. So which are the best virus protecting products for Windows 10 you can get right now, and is Windows Defender sufficient to keep you safe these days? Monitor the testing lab reports on most antivirus products and you'll normally find results varying over time: one generation works well, the next edition has some problems initially, the company goes to work and performance improves. Bitdefender is far more consistent. AV-Test, for example, has been running its in-depth antivirus tests since 2010, and Bitdefender has achieved a 100% protection rating in 17 out of the 20 reports produced to date (the last 'fail' was in December 2014). That's important as it suggests Bitdefender's products aren't just accurate right now, but they're likely to be just as good next month, next year, and on after that. Bitdefender Antivirus Plus 2019 combines its excellent core antivirus engine with an array of smart technologies to keep you safe from harm. Accurate web monitoring detects and blocks malicious links, and a vulnerability scanner alerts you to missing security patches or poorly chosen system settings which could compromise your PC. A secure browser prevents malware from snooping on your banking and online shopping transactions, and specialist ransomware protection ensures that even if something does penetrate your defenses, sensitive documents will still be safe. Bitdefender's starter price is pretty competitive too, considering the power of the security tools you get with it. For one device for one year you're looking at around $25/£25, with extra for more PCs and mobiles and a reduction if you crank up the term. Trend Micro may not have the profile of some of the big-name antivirus competition, but don't let that put you off - its products have a lot to offer. The baseline Trend Micro Antivirus+ Security has all the essential features you need - antivirus, ransomware protection, email checks and web filtering - but isn't weighed down by unnecessary extras you'll never use. Independent testing reports that Trend Micro delivers excellent results. As we write, the last five AV-Comparatives Real-World Protection Tests - September, October and November 2018, along with February and March 2017 - all show Trend Micro protecting against 100% of test threats. Pricing is fair and transparent. The headline prices aren't only available if you pay for two or three years up-front, and they don't suddenly jump up after the first year: they're just good value, full stop. A simple one PC, one-year licence is cheap at only £19.95 ($28). 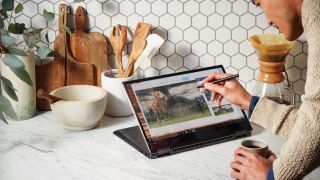 Extend the term and add support for more PCs and the costs fall even further, so for example a three computer, three-year licence costs only £53.27 ($74.60), or £5.92 ($8.29) per year per PC. Moving up to the top-of-the-range Trend Micro Maximum Security gets you protection for Android, iOS and Mac, as well as Windows, and adds features including parental controls, password management, social media monitoring, device optimization and more. Prices start at £24.95 ($38) to cover any mix of five devices for one year. Kaspersky has been one of the top antivirus companies for a very long time, and its products regularly appear at or near the top of the scoreboard for most of the main testing labs. Kaspersky Free Antivirus gives you the company's top-rated antivirus engine and intelligent blocking of malicious links for absolutely nothing. You don't even have to put up with ads - just leave the app running in your system tray and you'll barely know it's there. Kaspersky's commercial antivirus and security suite products add features including online banking protection, parental controls, password management, file backup, and coverage for your Windows, Mac and mobile devices. They're priced from £22.49 ($30) for a one computer, one-year licence. You might have seen Kaspersky making the headlines for less welcome reasons, recently, with both the US and UK governments restricting the use of Kaspersky products by some government agencies to avoid possible security risks. While this is a concern, as we've seen no evidence to support the restrictions, we're not going to allow them to influence our current thinking. We suspect you're far more likely to be targeted by hackers and malware than Kremlin surveillance, and overall Kaspersky does an excellent job of keeping you safe. Panda Security has been developing quality antivirus software for many years, and its latest Windows detection engine is one of the best around. For evidence, just point your browser at the results for AV-Comparatives Real Word Protection tests. These are a tough check of antivirus ability, but the last summary report (July - November 2017) ranked Panda Free Antivirus in first place as the only product to receive a consistent 100% protection score. If you're on a budget, then, Panda Free Antivirus may be your best option, but the company also produces more powerful commercial tools which could be interesting. Panda Dome Essential takes the core antivirus features and adds a personal firewall, Wi-Fi protection and a secure browsing environment to protect online shopping and banking activities. It's priced at £26.24 ($36.75) a year for a one device, one-year licence, rising to £35.24 ($48.99) in year two. Moving to a higher plan could get you specialist ransomware protection, parental controls, app locking, a call blocker, anti-theft, device optimization, remote device management, unlimited VPN use and more. Dome can be licenced for 1, 3, 5, 10 and even an unlimited number of devices, and these can be any mix of Windows, Mac and Android systems. For us, Panda Free Antivirus is the star product here, but if you're looking for more of a security suite, the Dome range may also be interesting. Take the free month trial for a spin if you'd like to find out more. Windows Defender has been trying to protect PCs from viruses since the days of Vista, but originally with little success. Independent testing regularly placed Defender at the bottom of the protection rankings, with detection rates as low as 60-70 per cent. Today's product is very, very different. Check out AV-Comparatives' Real-World Protection Tests and the last summary report (July - November 2017) gave Microsoft a 99.1 per cent protection rating. That translates to 13th place out of 21, so plainly isn't ideal, but still outperformed several big-name commercial engines: ESET, McAfee, Emsisoft, Fortinet, Adaware and more. There are plenty of other reasons to like Windows Defender. It arrives with your PC and is enabled by default, so there's nothing to learn or configure. It's lightweight, grabs very few system resources and is most unlikely to conflict with anything else. All you need to do is get on with using your PC, and Defender handles everything else in the background. Windows Defender still has its issues. Test results can be inconsistent over time and between labs, and most reports suggest it raises more false positives than average. But even with these problems, it's clear that Defender now offers genuinely useful protection at a similar level to many commercial products. If your needs are simple, or you're familiar with and like the package, it could be a sensible choice. Should I get free or premium antivirus? Many vendors offer free and paid-for versions of their antivirus. Why? Well, the free product acts as a gateway to the premium edition, while it also allows cybersecurity vendors to gather more data on threats, so they can protect their entire customer base. It’s therefore not in their interest to water down the protection offered by the free version. The difference between the two is in additional capabilities, not in the antivirus capabilities. Premium editions include features like advanced firewalls, parental controls, internet banking protection, and safeguards against social engineering. They might also use fewer system resources and don’t have the adverts urging users to upgrade. If you’re looking for a base level of protection for your Windows 10 system, then a free version is more than capable. But if you have more than a few systems, or you have a small business, then a premium service might be more suited. Accessing the Internet on some earlier versions of Windows without third-party antivirus software was a bit of a suicide mission. Windows was notoriously riddled with bugs and a huge installed user base meant it was the target for viruses and other forms of attack. But these days, the OS is protected by Windows Defender out of the box, and the Windows 10 version does a pretty good job. As mentioned above, it is enabled by default, and compares favourably to the competition. But do you need another antivirus if you have Windows Defender? It really depends. Windows Defender is lightweight and does a good job at detecting threats, but it does leak some false positives and occasionally gives users the option to execute malware rather than blocking it entirely. Your system is secure with Windows Defender, but if you want added piece of mind, it might be worth investing in an additional safeguard.